A LoyaltyLobby reader (and a friend of mine) forwarded me copy of a complaint about an incident at the Andaz West Hollywood, California, where someone had pee’d over the valeted rental car. You can always send me copies (email here) of problems that you have had with travel providers with resolutions offered by the companies and I will post the best ones here every Sunday. I am writing you in regards to my stay at the Hyatt Andaz West Hollywood on March, 2013. For the most part, the stay was flawless. The issue I wish address is an incident related to the valet parking of my vehicle. During this particular stay in Los Angeles I was renting an Infinity QX56 SUV, which is deemed a luxury SUV and as such felt it best to entrust it to the hotel valet, to ensure it’s security overnight. On the afternoon of checkout, I called ahead to ask that my vehicle be brought up. I proceeded downstairs and checked out but still had to wait for my vehicle. It did arrive about 10 minutes later and the valet attendant indicated to me there had been “something on the windshield” and had used the wipers to clean it off. As I neared downtown Los Angeles, I noticed some liquid also sprayed on the hood near the windshield. As I was quite a distance from the Andaz, I did not bother to go back to ask them about it. I pulled into a residential area and removed the yellowy-brown sticky substance from the white hood using a towelette, believing at the time it was soda. This sticky liquid was also on the plastic recess where the wipers sit and partially still on the windshield where the wipers are unable to get to. Although I thought it was soda, a quick smell of the towelette revealed it didn’t have any sugar smell to it but rather a weak stench. I then thought it might have been an oil or lubricant of some type. A few days later I opted to wash the vehicle as it was getting dusty. I looked again at the mystery substance on the windshield and noticed the dried liquid had yellowed and appeared consistent with dried urine. I’ve attached photos showing such. I took the vehicle to a car wash in West Los Angeles (Santa Monica Boulevard) and purchased a wash for $16.00. Before proceeding with the wash I showed one of the attendants the dried liquid and asked him whether it might be soda or oil. In quite blunt terms, the gentleman told me (this is a direct quote) “your truck got pee’d on”. While this can not be said with 100% scientific certainty unless a lab test was performed, I will take the advice of someone who washes thousands of vehicles per year as an expert opinion. Upon hearing this, I literally felt ill knowing I had hand wiped down the upper hood days before with my bare hands. Had this been communicated to me by the valet staff, and I am sure this was not the first time for this kind of incident, I would have promptly asked for the whole vehicle to be properly washed. 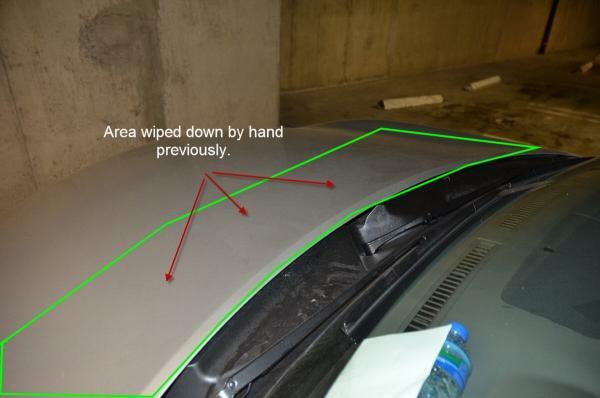 Even if the substance had not been urine, the fact that a vehicle that was supposed to be parked securely and had something sprayed or poured onto the windshield indicates that the valet is far from secure. My vehicle probably would have been better off street parked and not isolated where individuals, probably intoxicated from nearby bars on Sunset Boulevard, had access to or above my vehicle to do as they pleased. happened and that the valet did not exactly communicate to me how they found the vehicle is indicative of them trying to sweep the incident under the proverbial carpet. This is without a doubt an incident that merits some goodwill on the part of Hyatt, due it’s sheer nature. As such, I am requesting Gold Passport points equivalent to a complimentary night at the Andaz West Hollywood as compensation. I would also hope that better safeguards are taken with valeted vehicles to ensure that such an incident isn’t experienced by other guests. The property had only given 5,000 points for the incidence that the guest found to be insufficient. Hyatt Consumer Affairs in response upped the compensation to 15,000 points, an amount that the guest was satisfied with. The Andaz West Hollywood was previously known as West Hollywood Hyatt and before that Riot House. I have stayed at the property numerous times over the past ten years and it used to be my hotel to go if I was going out in West Hollywood, as it is within crawling distance from the watering holes and is right on Sunset Boulevard. The West Hollywood Hyatt was getting dated, but I really liked the service that unfortunately went downhill with the Andaz introduction. The parking has always been bit of a problematic in WeHo, but you were used to able to self park at the West Hollywood Hyatt, but after introduction of Andaz valet parking is practically the only option. The self-park option is now more expensive than the valet, with no in/out. The crowds at the hotel are sometimes (or often) rather rowdy, so it wouldn’t surprise me that if someone had a prank of peeing over onto a car in the parking lot that is on the backside of the hotel.